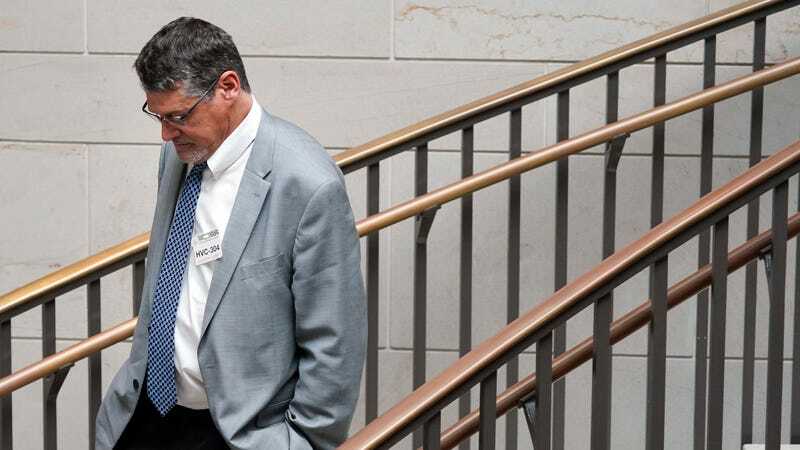 The founders of Fusion GPS, the private intelligence firm that produced the so-called “Steele dossier,” took to The New York Times on Tuesday night and challenged congressional Republicans to release transcripts of their interviews before the House Intelligence Committee. The explosive op-ed, titled, “The Republicans’ Fake Investigations,” dropped in the middle of a disturbing Twitter tantrum by the US president, who attacked the “most dishonest & corrupt media” and taunted the nuclear-armed North Korean regime. The salacious dossier, which contains both verified and unverified allegations about President Donald Trump, has played a central role in efforts by Trump allies to discredit special counsel Robert Mueller and the ongoing Russia probe. The federal investigation was sparked by cyberattacks against American political entities and has so far led to several indictments against former members of Trump’s team. The researchers from Fusion GPS have testified before the House and Senate intelligence committees, as well as the Senate Judiciary Committee—a total of 21 hours of testimony, they said. Simpson and Fritsch have accused Republicans of selectively leaking details from their testimony to “far right” media outlets while maligning their business with a vast misinformation campaign. In response, they are now urging Republican lawmakers publicly to set the record straight by releasing transcripts of their closed-door interviews. “Congress should release transcripts of our firm’s testimony, so that the American people can learn the truth about our work and most important, what happened to our democracy,” Simpson and Fritsch wrote. In targeting Fusion GPS, Nunes may have bitten off more than he can chew. In the Times, Simpson and Fritsch recounted telling lawmakers that the investigation into Trump was, in fact, funded in part by Republicans, namely those at The Washington Free Beacon, a conservative political website. They further took aim at a common Fox News talking point, saying they do not believe the now-infamous dossier, compiled by former British intelligence officer Christopher Steele, served as the “trigger” for the FBI’s investigation into Trump. The Russia investigation, which kicked off following cyberattacks on prominent Democratic Party members last summer—attributed by US intelligence to Kremlin-backed hackers one year ago—has produced four indictments targeting former members of the Trump campaign, including ex-campaign manager Paul Manafort and his deputy, Rick Gates. Trump’s former national security advisor, Mike Flynn, pleaded guilty in early December to “willfully and knowingly” making “false, fictitious and fraudulent statements” to the FBI. He is now said to be cooperating fully with Mueller’s team in the hopes of leniency. Update, 1pm: In an emailed statement, Rep. Adam Schiff, the ranking member of the House Intelligence Committee, called on House Republicans to release the Fusion GPS transcript. Carter Page is a former foreign-policy advisor to the Trump campaign. Erik Prince, the former US Navy SEAL officer who founded the mercenary group Blackwater USA, was questioned in Congress over a meeting with a Russian in the Seychelles. It is alleged that Prince was attempting to establish a backchannel between the Trump transition team and President Vladimir Putin of Russia. Correction: A previous version of this article stated that Fusion GPS’s founders met with the Senate Intelligence Committee in August. As noted elsewhere in the article, it was actually the Senate Judiciary Committee. We regret the error.